Finding your ring size can be tricky, but it is oh-so-important when you are shopping for a wedding band or engagement ring. 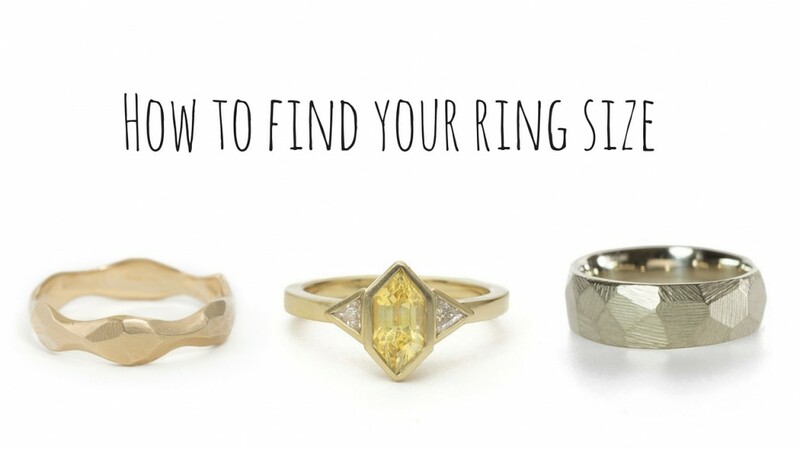 If you’ve been wondering how to find your ring size, I am here to help! I created this video to walk you through the process of measuring your ring size. You’ll also find some more tips for getting an accurate measurement below. 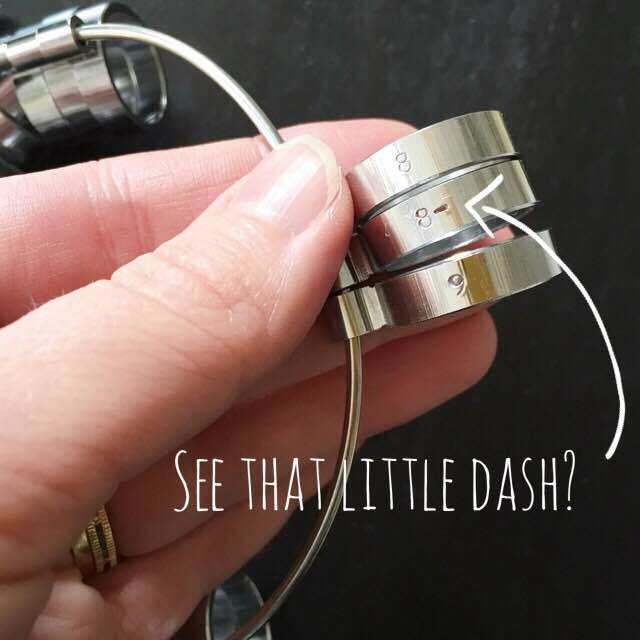 Always use a ring sizer that is approximately the width of the ring you are buying. 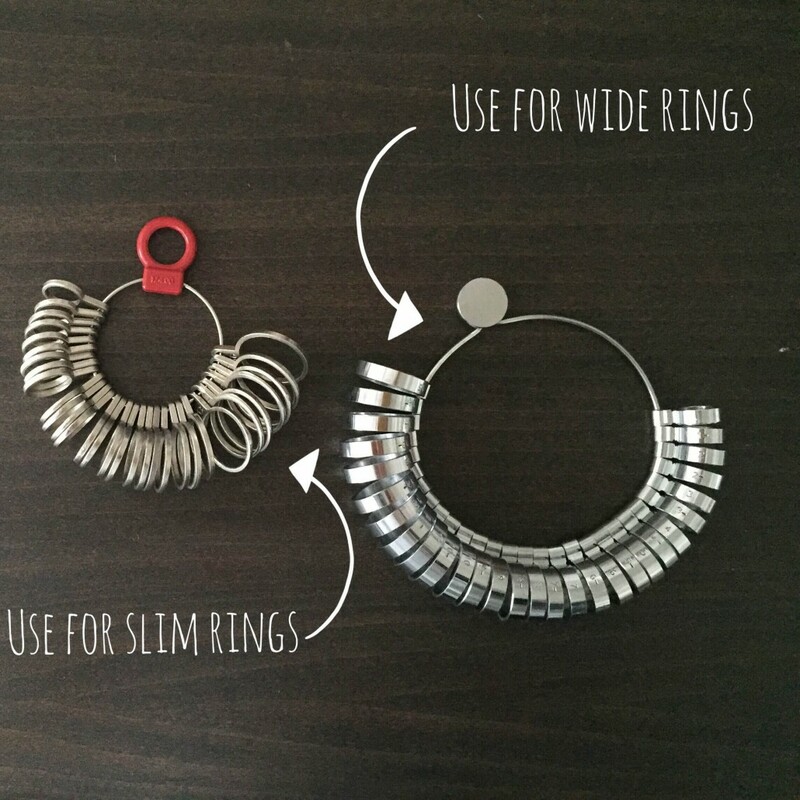 Use a wide sizer for wide rings and a slim sizer for slim rings. Start with a large size and move down- if you start with a size that’s too small it may get stuck and cause your finger to swell, leading to an inaccurate reading. Remember that the “-” marks mean “and a half”. So an “8-” is a size 8.5. You know you’ve found the right size when you can take the ring on and off with some difficulty (but it doesn’t feel uncomfortable to wear), and another person can’t pull the ring off your finger. Lots of factors can affect your ring size- room temperature, salt intake, hydration level, hormones…you get the idea. If possible, measure your size on several different days to get the average. 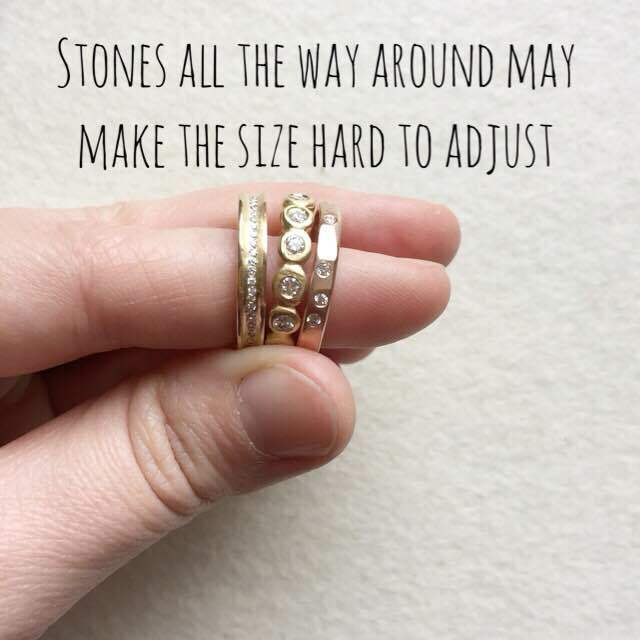 This is especially important if you are buying a ring with stones all the way around as it may be difficult to adjust the size. Gents, if you’ve never worn a ring before it’s probably going to feel weird at first. You may think it’s too small, but you’re probably just not used to wearing a ring. Give it a few days of wear before you think about adjusting the size. A ring that’s too big is VERY easy to lose. And you don’t want that to happen! Made a sizing misstep? Not to worry, most rings can be sized. I always adjust the size of my handmade wedding rings once for free. 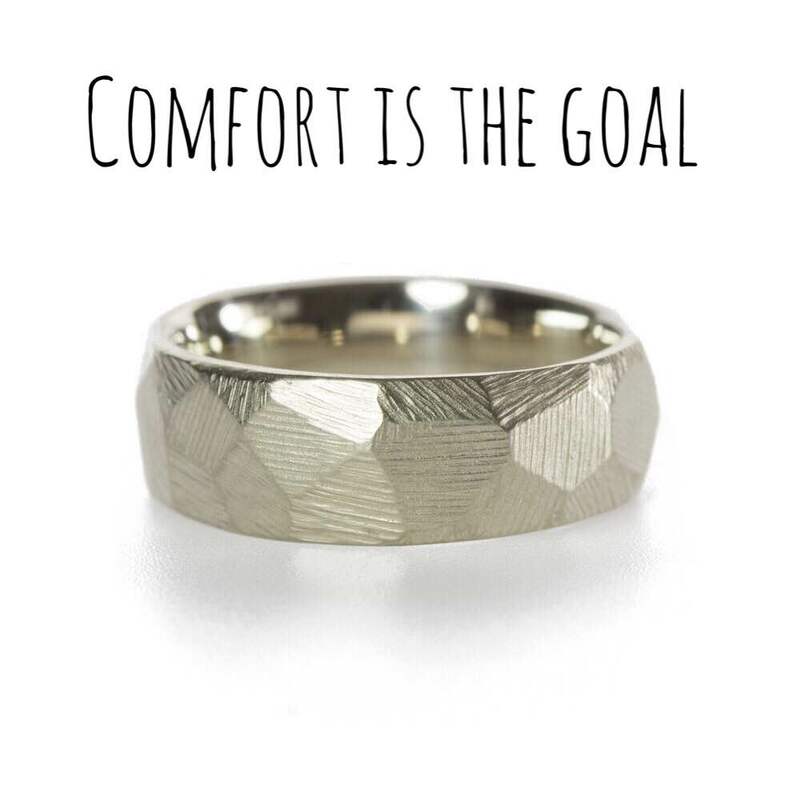 A properly sized ring will feel comfortable- so comfortable you will forget it’s even there. If you need any help sizing, please make an appointment to visit my studio. I will help you size your finger for the perfect fit!